From french zombies to Argento's latest film. Now, for anyone who’s been keeping up to date with the recent wave of French horrors you’ll know that France is now one of the leaders of the genre. It all kick started with Alexandre Aja’s Switchblade Romance (Haute Tension, 2003), a very slick clever little slasher with a twist that divided audiences. Now, ever since then, we’ve had a whole load of extremely violent films that have pushed the boundaries of what’s acceptable. From the extremely disturbing and honestly frightening film, Inside (2007; Alexandre Bustillo & Julien Maury) to the gangster film meets gorno, Frontiers (2007; Xavier Gens) and, of course, the VERY VERY disturbing torture film known around the world as Martyrs (2008; Pascal Laugier). So, naturally I was expecting something along the same vein (although personally I believe Frontiers to be HIGHLY overrated). And I’m not completely sure if I got what I wanted. But before I get into the review bit, let’s me tell you what it’s about. BASICALLY, it starts of with a couple of cops undercover I think, bursting into these derelict flats to kill some bloody criminals. Only, things don’t go according to plan. Yep, that’s right. Zombies burst in unexpected – just like the Spanish Inquisition! And this is where lots of zombie goodness takes place...apparently. Now anyone that knows me, knows I am absolutely craze about my zombies! I simply CANNOT GET ENOUGH! In my absolute honest opinion zombies are the best things in horror, even the supposedly bad films, I love! And what with the recent boom of zombie mania, from Land/Diary Of The Dead (2005,2007; George A. Romero), Fido (2006; Andrew Currie) and the upcoming Zombieland (2009; Ruben Fleischer) and Survival Of The Dead (2009; George A. Romero) as well as zombies invading TV – Dead Set (2008; Charlie Brooker) and the kiddies show Zombie Hotel (2006; Jan Van Rijisselberg)– literature as in Pride And Prejudice And Zombies (Seth Grahamme-Smith) and even zombie sweets, it’s clear that the zombie has definitely come back from the dead in it’s masses! Unfortionatly, I feel, that there’s something missing in this film that I cannot quite put my finger on. Sure, the actions all there. There’s plenty of action in this film! And it’s not just zombies that the characters seem to be fighting, but each other (a rather nice and very enjoyable relationship is created when two opposing gangs are forced to work together). And there’s two scenes in particular that really are up there as being some of the best zombie sequences. However, with all these things FOR the film, what’s the problem? Well, it’s weird I’m not quite sure. I think it may have something to do with [SPOILER] the film taking place almost completely with one setting [Spoiler Over]. Now this doesn’t bother me most times, especially as I am in luv with films such as [REC] (2007; Jaume Balaguero & Paco Plaza) and Romero’s first 3 zombie films, Night/Dawn/Day Of The (Living) Dead (1968, 1978, 1985), it’s just that, perhaps, it focuses TOO much on the character’s conflicts rather than blowing away some zombie brains as they groan and grumble which is a shame really. 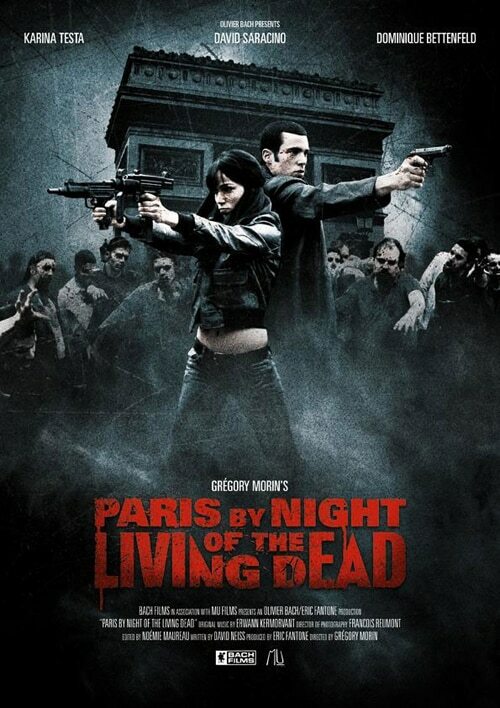 It’s just not as gory as I was hoping for, nor is it as fun, which I really like about zombie films. Overall, I’d recommend going to see it in the cinema, definitely. Don’t get me wrong, it IS a good film. It just isn’t as gory or as fun as I may have liked. It seems a little too polished for my liking and focuses to much on the characters rather than the main attraction of the film, The Horde of zombies! Oh and watch out for the scene where the main character forces his ethnic background into a guys head, so he’ll NEVER forget it! Oh, and it’s also excellently acted too, with the old guy stealing the show! I’ll give it a 4/5. I think it will be better the 2nd viewing, when I know exactly what it will be like. Since I know there are quite a few short film fans here (by which I mean people who enjoy short films, not nesceraily short people who enjoy films...yeah), I thought I’d right a short review of the short film screened before. This was something special. It was basically a balls-to-the-wall, utterly crazy action film, centering around a newly married couple blowing away zombies, whilst destroying Paris as they go about their mission a la Team America: World Police (2004; Trey Parker). It just gets more and more and more and more ridiculous. Starting off with a miniature hand-gun, soon they’re jumping off motorbikes blasting the zombies (and the city) with frickin rocket-launchers! This is just crazy! Check it out if you can find it. Unlike the france, Asian horror, in my eyes, has declined over the past few years. Sure there’s been some absolutely excellent films including The Grudge (Ju-on, 2002; Takashi Shimizu), Ringu (1998; Hideo Nakata) and The Eye trilogy (Gin Gwai, 2002; The Pang Brothers), but after this cycle of the supernatural died out and gore became the main focus, I kind of lost interest. With films such as Meatball Machine (2005; Yudai Yamaguchi & Jun’ichi Yamamoto) and Tokyo Gore Police (2008; Yoshihiro Nishimura) which, I at least , feels that they focused TOO much on gore and trying to push Braindead (1990; Peter Jackson) of the top spot, and ultimately failing and turning into a so-bad-it’s-good film. Although I do realise that I’m in the minority with these as they are hugely popular (I’m not saying their bad). And sadly, this film did not escape this problem. It tried so hard to be really bloody, so much so that the latter third of the film has blood EVERYWHERE on the floor. Whilst some people may find this to be cool, it seem's there’s only so much gore you can see until it becomes boring and repetitive (and I’m a gorehound!). The problem with these types of films is that you become completely desensitised to the blood, it’s almost cartoonish and over-the-top. It’s neither disturbing nor shocking or gross, it just is. However, unlike the other 2 Asian films previously mentioned, this does have quite a sane story line (as sane as a horror film can be that is!). It takes on the typical route of a ‘Our car’s broken down, can we borrow a phone?’ ‘Oh come in. Stay for dinner. Then die one by one. Enjoy your stay.’ Kind of thing. As clichéd as this is now, it’s still an enjoyable and highly watchable narrative that’s been done so much, that audiences know exactly what will happen. This is not a bad thing at all. The acting in this film was actually pretty good, obviously not Oscar-worthy, but c’mon who cares?! The main baddy was really excellent. She played up to the evil cow role VERY well, never changing her fixed facial expressions and moving slowly with purpose, almost like a female Jason Voorhees! Overall, I’d recommend this to fans of the recent Asian horror trend of ‘as-much-blood-as-possible’ (aka Grotesque (2009; Koji Shiraishi)) to watch this. It’s a lot of fun, it’s never dull (the only bad film is a boring film) and there’s blood everywhere, just don’t expect to be repulsed. Damn I hate that title! The word Millennium has to be one of the worst words ever made. Luckily, the film is much better than the title! This was a rather interesting little film that is very different to anything else I saw those 5 or so days. It’s a much slower film (running at approximately 150 minutes) and is not what I would call a horror, but rather a thriller. Which is by no means a bad thing. In fact, I would even go as far as saying that this film is the Swedish equivalent of the beloved gialli. The trouble with a lot of these films is that the plot can often be a bit hard to follow and keep track off. Whilst this film is not an exception to this problem it does still remain a very enjoyable and entertaining film. The basic plot of the film centres around a man, Mikael (Michael Nygvist) trying to track down a woman previously thought to be dead, with the aid of emo-lady Lisbeth (Noomi Rapace), or something like that! It’s a very clever film that may need more than one viewing in order to understand COMPLETLY the plot. Either that or I’m just stupid. (Most likely the latter). But don’t be put of my its slow pace, there are some really nice scenes in here, including [SPOILER] Lisbeth taking revenge on her foster-parent/ sexual abuser [End Of Spoiler] which is a lot of (sadistic) fun, there is also a nice little [SPOILER] car chase towards the end – but nothing special [End Of Spoilers]. However, this is a film that doesn’t focus on amazing and spectacular set pieces, but rather on character development, the acting of the cast, the plot and the direction. And I have to say, in these respects, this film certainly delivers. Overall, check this one out if you want something VERY different to your usual horror. It’s a much more slower film that will either bore you to death or keep you glued to, depending on your mood/attention span, I guess. Personally though, it’s not something that I’ll go out of my way to own. Argento. Dario Argento. Also known as the king of Italian horror by some. With his impressive filmography including such horror classics as Suspiria (1977), Tenebrae (1982), Inferno (1980) and of course his re-edit of Romero’s Dawn Of The Dead (1978) to name but a VERY few. I’m sure there are many, many fans of his on this forum as well. But, lately, his work has been losing its way a bit, some may even argue his demise started way back in the ‘80’s after the critics began to take an interest. Nevertheless, I had high hopes for this film. 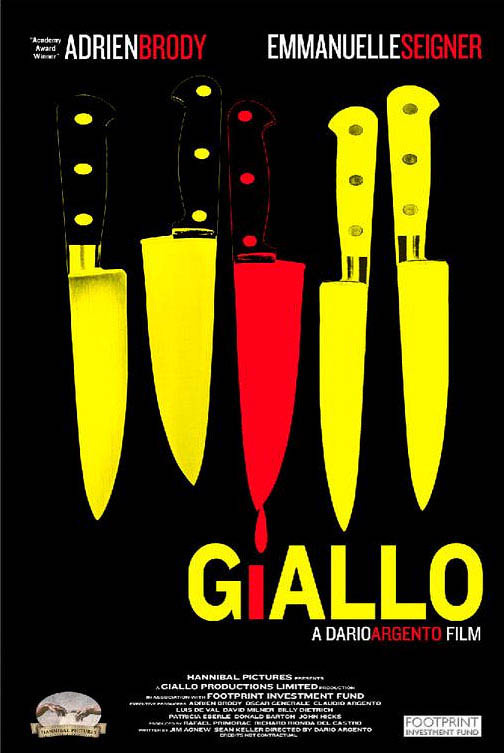 Titled Giallo, I was expecting a sort of back-to-form-Argento, after all he helped make the giallo what it became. This is a film of endless one liners that get more and more ridiculous each time. All the main characters seem to be mentally challenged somehow. Take the lead Inspector, apparently the cleverest man in the film. Mmm, yeah right. He relies ENTIERLY on ideas given to him by incidental characters! What the hell?! And then there’s the acting! Now, I don’t mind bad acting, honestly I don’t. But this just takes the biscuit. We have an inspector who is as stiff as wood, or worse...Daniel Radcliff (! ), who doesn’t stop smoking! EVERY shot, nearly, he’s either smoking, or lighting up a new ciggie! I was surprised he never died because of that before the end of the film (which would’ve made a much better ending, than the disapointing one in the film). Then we have, the main female assistant, who’s name I’ve forgot and don’t care about. She looks as if she was taken straight out of Scary Movie 3 (2003; David Zucker ), with a fixed expression slapped on her face of bewilderment and confusion. She’s probably still in shock due to being in a film this bad. It’s almost as if the make-up person, drew her face on! The audience and I couldn’t keep quite with all the laughing! And Argento is not immune from this stupidity either. The direction is nothing special at all, in fact there are many moments which are just down-right amateurish and clumsy. The whole film plays on the idea of ‘giallo’ meaning yellow, so, we see the Inspector drinking from a YELLOW cup, there’s YELLOW flowers everywhere, YELLOW this, YELLOW that. And this is about as far as the intelligence stretches! This is without doubt the (second) worse film I saw at Frightfest (Shadow being the worse), and it’s such a shame, especially knowing that someone with such talent, that is Argento, made it! 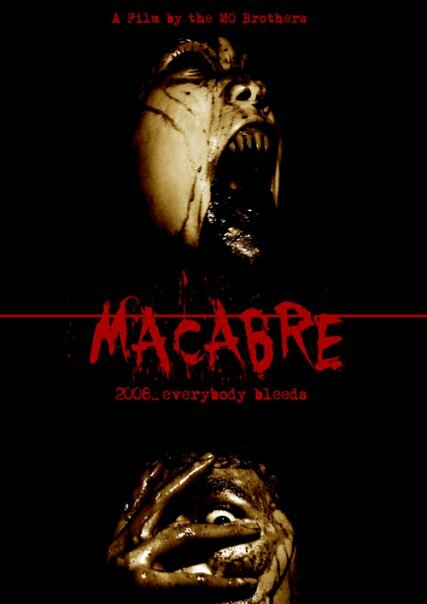 This is without doubt 2009’s Troll 2 (1990; Claudio Fragasso ) and for that reason alone I’d actually recommend this! No, I haven’t lost it (that much)! This is a highly entertaining (unintentional) comedy – that will have you howling at its stupidity and crap-ness. I’ll give it a 2/5 for pure entertainment! It was a hell of a lot of fun. Cheers mate! Yeah, Giallo sucked lol! Oh sorry about the bad news then mate. Check it out if you want, you may think it's good. It's certainly VERY entertaining.